You’ve seen our outstanding range of Lilley shoes for women, how about getting some of that class and sophistication for your little princess. In this fabulous collection of Lilley Sparkle girls' shoes, the clue’s in the name! They’ll definitely add a sprinkle of glitz into her outfit. Perfect for family occasions, weddings and more; you’re sure to find her new favourite pair of shoes below. 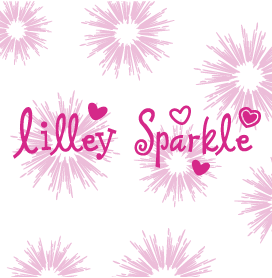 All of our Lilley Sparkle girls’ shoes come really highly rated and you can see how happy our customers have been with them for yourself. With no eye-watering prices, they’re budget-friendly as well as being super stylish and sparkly! We’re really happy to be able to share them with you today and there are some really great deals to be had below. With a wide variety of styles such as Mary-Janes, heeled sandals, party shoes and ballerinas for girls, they all have that little extra bit of sparkle and will have your little lady feeling like royalty. We really love the cute detailing featured on these shoes, from patterns to embellishment to just pure sparkle! We’ve been seeing plenty of embellishment on the catwalks this year, so you can bring a little slice of runway fashion to her wardrobe. Be warned, once she puts them on, she won’t want to take them off though! When it comes to buying shoes, the smart money is on Shoe Zone. Be sure to take advantage of any deals and offers we have available below, as well as our free UK delivery on all online orders. If you change your mind, you can return your shoes for free at any of our over 500 UK outlets. 9 products from £7.99 to £14.99.